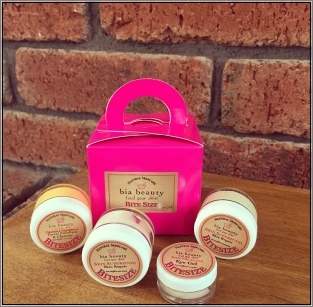 This amazing Rhassoul clay based face mask helps to draw out impurities, revitalising and deeply cleansing. Naturally packed with vitamins, powerful antioxidants, and the anti-inflammatory properties of oats, dried honey and mango. 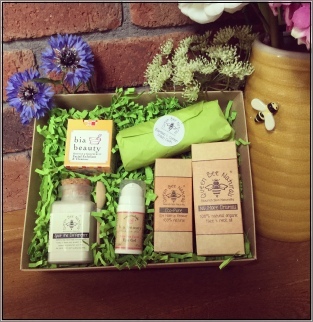 Contains skin repairing calendula herb, antioxidant Vitamin E and skin softening sweet almond oil. 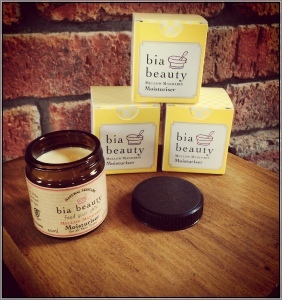 Multi tasking – can be used as both a day and night moisturiser 100% natural. Contains castor and thistle oils, excellent at cleansing and removing excess oil. 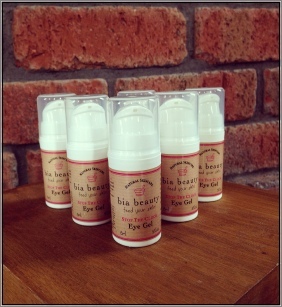 Jojoba grains give a very gentle polish, removing dead skin cells and cleansing the pores. Wont dry the skin out, excellent for oily or combination skin and dry skin as it’s so balancing. We have packed this very special cream full of what we call the skin’s super-foods, immortelle, comfrey, calendula, mallow and heartsease. 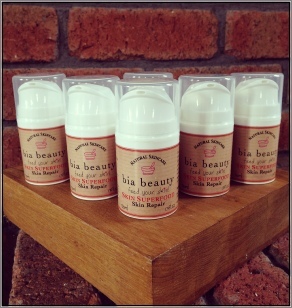 Like all our other creams it's gentle and soothing yet it's powerful enough to deal with most skin problems. 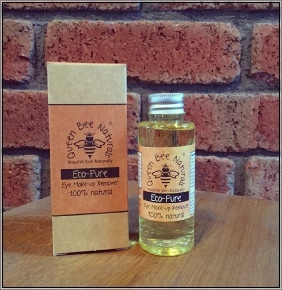 We’ve also added myrrh and frankincense essential oils which are also known for their benefits to the skin. This soft and creamy Soap is made with 71% certified Organic ingredients and is free from SLS, SLES, parabens, artificial colourants & perfumes. 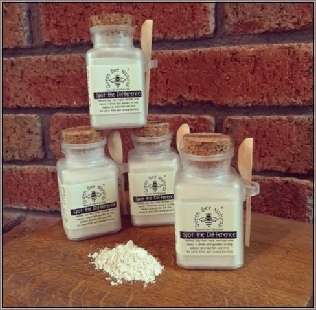 We have used pure Grapefruit and Lemon Essential Oils for their antiseptic and astringent properties. 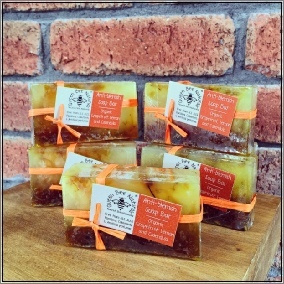 Grapefruit is clensing and refreshing while Lemon and Calendula are antiseptic, calming and toning making this soap bar ideal for oily or spot-prone skin. 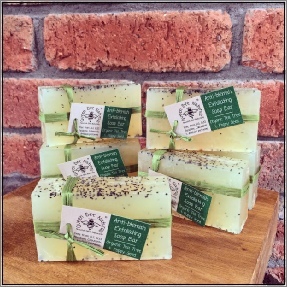 We have added pure Tea Tree Essential Oil for it's wonderful benefits to the skin and poppy seeds for light scrubby effect. Tea Tree Oil is known world wide for it's ability to help the skin heal. It has antibacterial, antiviral, anti-fungal properties and fabulously balancing for most Skin types. Use this Soap on the face to help regulate sebum production, calm redness, fight spots and blemishes, help to heal scarring and to nourish and brighten the skin. It really is one of nature's finest Oils! 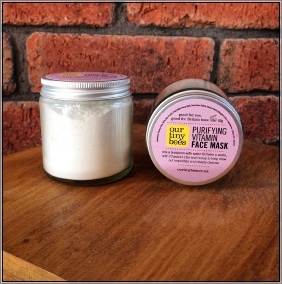 This natural clay face mask is enriched with lemon peel and honey to help balance oil production and free the pores from spot causing bacteria. 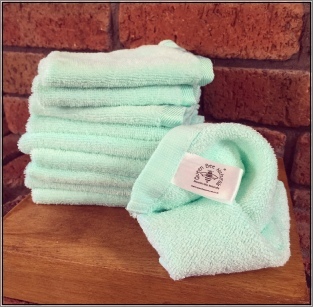 These super soft wash cloths are ideal for the whole family including new born baby's delicate skin. Made using a blend of natural cotton and bamboo fibre they are much softer than a traditional face cloth. 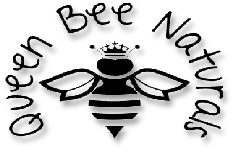 Can be used along with our B Gentle Hair & Body Wash for a super head to toe clean. Also great for cleaning little ones dirty faces! 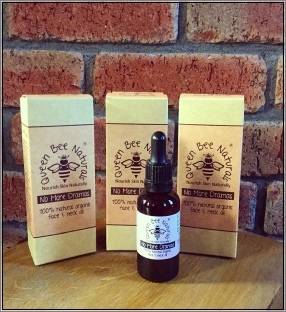 'No More Dramas' Natural organic face & neck oil. 'No More Dramas' has been cleverly formulated to help minimize the dramas we face when we look in the mirror. Maybe your concerns are fine lines & wrinkles, acne scars or dull complexion.....this little bottle of skin perfecting genius has it covered! This 100% natural eye makeup remover is free from all nasty ingredients such as silicones, colourants, sulphates, artificial preservatives and perfumes which can cause damage and early signs of aging to the delicate skin around the eye area. Instead this handmade product is formulated and produced using the finest quality natural ingredients which will not only effectively remove all traces of eye makeup including mascara and eyeliner, but 'Eco-Pure' will also deeply nourish and hydrate the eye area enriching it with anti-aging vitamins and antioxidants to prevent damage caused by free-radicals. 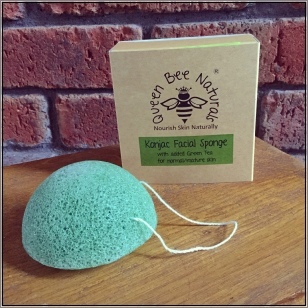 This 100% natural facial sponge is ideal for teenage / oily / spot prone skin types and is gentle enough to use every day. Konjac is a natural fibre derived from a type of potato plant grown in Asia and has been a popular beauty product in Japan for centuries. It can be used with or without product cleanser and will clean and gently exfoliate the skin to leave it feeling soft and fresh. Ideal for those with sensitive skin. The added Charcoal will help rid the skin of excess sebum and reduce blackheads and breakouts. This product is produced using a sustainable source and is also 100% biodegradable so good for the planet as well as your skin! 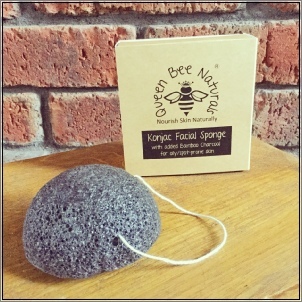 This 100% natural facial sponge is ideal for normal / mature skin types and is gentle enough to use every day. Konjac is a natural fibre derived from a type of potato plant grown in Asia and has been a popular beauty product in Japan for centuries. It can be used with or without cleanser and will clean and gently exfoliate the skin to leave it feeling soft and fresh. Ideal for those with sensitive skin. The added Green Tea will help fight free-radial damage which causes the skin to age quicker and is also packed with anti-oxidant benefits for the skin. This product is produced using a sustainable source and is also 100% biodegradable so its good for the planet as well as your skin! A better way to moisturise your face. 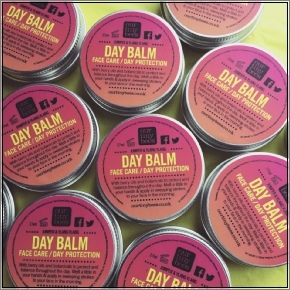 All day protection with an amazing blend of essential oils including Juniper and Cedarwood. Protects and looks after your skin while being invisible. We've even designed it to go under your make up (which won't slip). We've selected all our favourite skin pampering and nurturing base oils including Jojoba and Oat oils which act to look after and care for your skin all day long. Jojoba oil regulates sebum production because it's so similar to the sebum that your body produces naturally. Borage Seed Oil offers a calming effect, helps maintain healthy skin and is suited particularly well for the dry and/or irritated skin conditions. Juniper supports your body's natural detoxification process by toning and cleansing the skin, while ylang ylang retains moisture and balances the oils that keep your skin smooth, refreshed and hydrated. 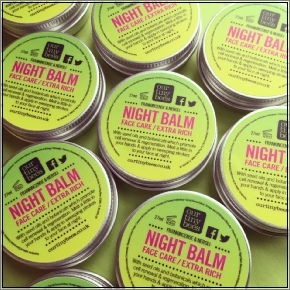 Intensive, replenishing overnight face balm to hydrate and moisturise. With our glorious blend of Frankincense and Neroli - two anti-aging, skin plumping powerhouses. With extra rich Avocado oil for intensive moisturising, this balm revitalises dull and fatigued skin, packed with anti-oxidants for intense night-time nourishment. Borage Seed Oil offers a calming effect, helps maintain healthy skin and is suited particularly well for the dry and/or irritated skin conditions. Jojoba oil regulates sebum production because it's so similar to the sebum that your body produces naturally. 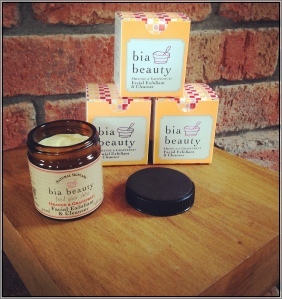 Suitable for all skin types particularly mature skin - Neroli and Frankincense have well known anti-ageing properties.